It has been a busy period recently at Autotask with the MSP specialist updating its product portfolio. One of the consequences of the changes has been an increase in the number of managed service providers working with the vendor. 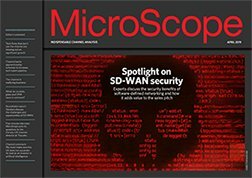 To find out more MicroScope put its questions to Ian van Reenen, vice president of engineering, endpoint products, Patrick Burns, vp of product management and Matthe Smit, director of product management & endpoint management. The new ticket interface and user experience for Autotask PSA delivers a massive increase in flexibility, extensibility, efficiency and staff productivity. It includes significant new capabilities but also many smaller improvements that save clicks and automate repetitive process. The customization framework enables our customers to tailor the service desk experience to specific use cases, with data and functional behavior conditional on the situation. As a result they can better manage business process and open up the system to new departments and users. The new version of Autotask Endpoint Management (AEM) enables users to now also manage, monitor and support critical networking infrastructure like routers, storage devices and firewalls. This results in customers needing less tools to manage their entire estate, significantly improving the efficiency, and offering new services to end clients. Additionally, the AEM monitoring system has been refactored. It now has support for many advanced needs like SNMP and Windows Performance Monitoring. It provides real-time metrics across all managed devices that helps users better understand what’s going on in their networks. The monitor engine now also comes with many pre-configured best practices so that customers can get started with AEM much quicker and meet client needs. Finally, this release pushes the capabilities of the unified RMM-PSA solution of Autotask even further. All the work done in remote control sessions will be logged and automatically transmitted to the support ticket. This saves substantial time for engineers and creates new levels of transparency for end clients so that MSPs can reinforce their value. Was there input from the MSP community into formulating the latest releases? All of our releases reflect the input we receive from actual customers. Our planning process incorporates feedback from the online feature request system, global product advisory groups (per product), regional planning groups, constant onsite meetings and ad hoc customer interactions and detailed surveys centered around our customer and partner conferences. Both of these releases (PSA and AEM) delivered on half of the top ten existing feature requests, based on global customer demand. The PSA release included more than 60 specific, smaller usability improvements that came directly from the community. Do you hope it will attract some fresh customers? Fortunately, we can already confirm that these improvements will attract new customers. We’ve won a number of new deals based on the roadmap expectations and have additional prospects that were committed and waiting for deployment. We’ve seen a significant impact on competitive swapouts, and also market expansion based on the extensive flexibility, which opens the platform to new customer segments. Is the market evolving now more quickly than in the past? Is that a challenge for vendors looking to ensure they can give the best support to MSPs? The biggest constant in the IT market is change. Whether it’s changing more quickly than in the past is open to interpretation or individual circumstances, but regardless we welcome this challenge. Disruption is the source of opportunity and we always look for ways we can help our customers compete more effectively and expand their revenue streams. The digital transformation of business is driving rapid innovation for software vendors and it is exciting to be a part of this massive technology revolution. Will there be more product updates coming this year? Is this latest stuff part of an ongoing pipeline of innovation? We have a constant, rolling development process and are already working on our next release cycles. We have additional pipeline for interface innovation, platform unification and some surprises we aren’t ready to announce yet. At the same time, we will continue to invest in core roadmap improvements that are important to our customers. If I have been a previous user what improvements would I notice from the latest products? In the last two years, AEM has transitioned from a relatively new entry in the RMM space to now a market leading product. Most areas of the product are much improved and built around customer feedback. We’ve heard from many customers how impressed they are with our progress in this period. PSA has historically been a market leader but it’s such a big solution that there are always opportunities to improve. We continue to add significant new features as well as improve usability and accessibility so users can get more value out of their investment. The Unified Platform (Autotask PSA-AEM) and our unique approach to integration has had a major impact on our growth and customer retention.